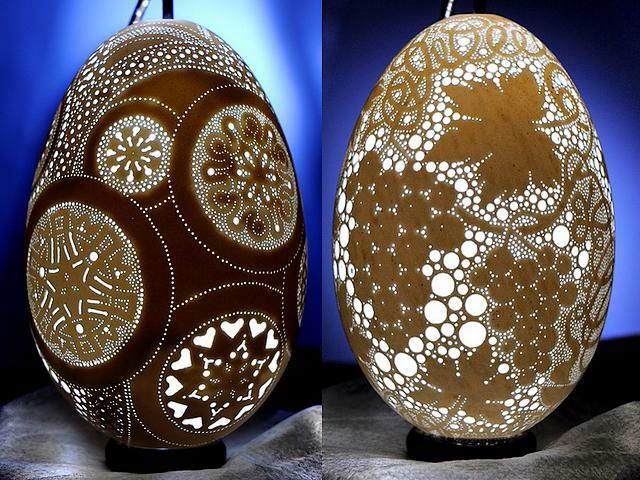 The Easter eggs are transformed in unbelievably intricate sculptures, in hand of the Slovenian artist Franc Grom, who is drilling egg shells with a tiny electric tool and an enormous patience. Slovenia’s wine-making heritage has inspired the 72-years-old Franc Grom to carve ornaments of grapes, vine leaves and delicate winding tendrils on this awesome egg. When the work is finished, each egg contains approximately 2,500 to 3,500 holes.